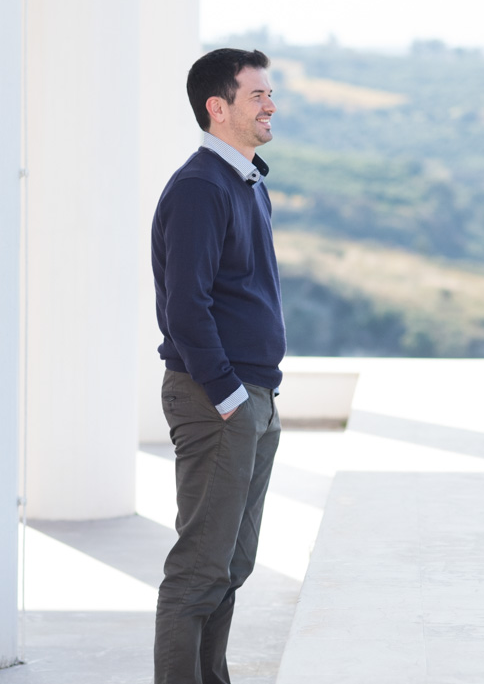 Xenofontas Dimitropoulos is an Associate Professor at the University of Crete and Affiliated Researcher to the Foundation for Research and Technology Hellas (FORTH), where he leads the Internet Security, Privacy, and Intelligence Research (INSPIRE) Group. He received a PhD degree from the Georgia Institute of Technology. His research focuses on software defined networks and Internet measurements. He has received grants from the European Research Council, the Marie Skłodowska-Curie action, and the Fulbright Institute. He has served in the organizing committee of ACM SIGCOMM and has won two best paper awards. My research has focused on Internet routing, software defined networks, Internet topology, network monitoring, network security, privacy, and network simulation. I use network measurements, like routing data and traffic traces, to understand how complex systems work in practice, which then helps drive my research to building prudent solutions that address key deficiencies. I try to distill complex real-world problems into clear formulations and to investigate suitable solutions leveraging when possible on established theory, like data mining and graph theory. In addition, my research often involves designing and building a system. Finally, I consider important and I try to make software as well as useful measurement data available to the community. You can find me in FORTH typically in the days without teaching duties at the University of Crete. My office is Γ172 in the Telecommunications and Networks Laboratory (TNL) of the Institute of Computer Science (ICS) of FORTH. The office is in the main building of the campus. You can find me in my office in the University of Crete the days I am teaching. My office is B317 in the 3rd floor of the Computer Science Department of the University of Crete.